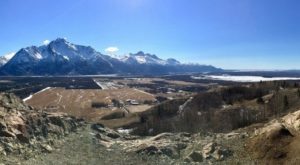 Alaska is well known for its stunning scenery. Our geography tends to lend itself to some amazing sights. One frequently overlooked beauty? 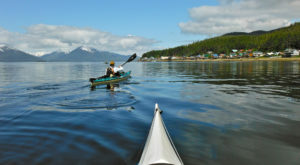 The Katchemak Bay waters outside of Halibut Cove! 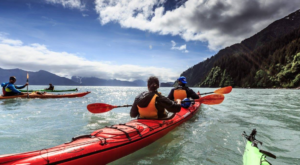 The waters are spectacular, and definitely worth a second look! 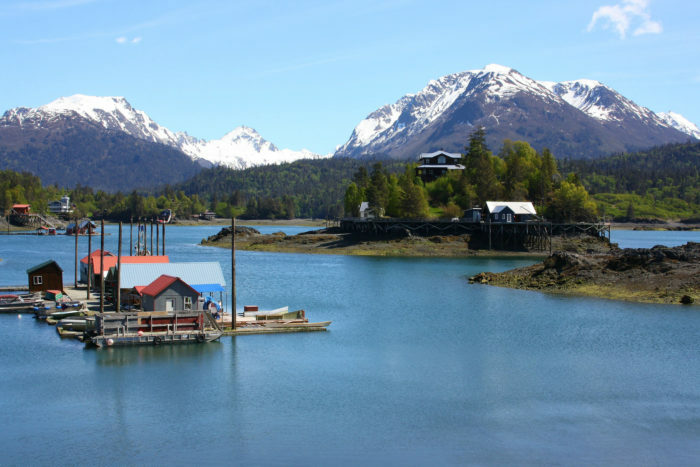 Halibut Cove is located on the waters of Kachemak Bay, across from Homer, Alaska. 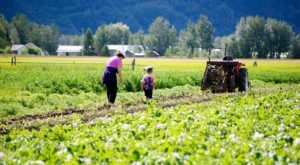 It is a Census-Designated Place in the Kenai Peninsula Borough. There is no road access to this tiny little village on the water. 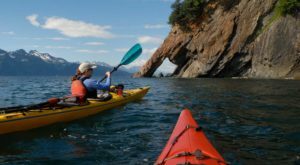 It is only accessible by boat! 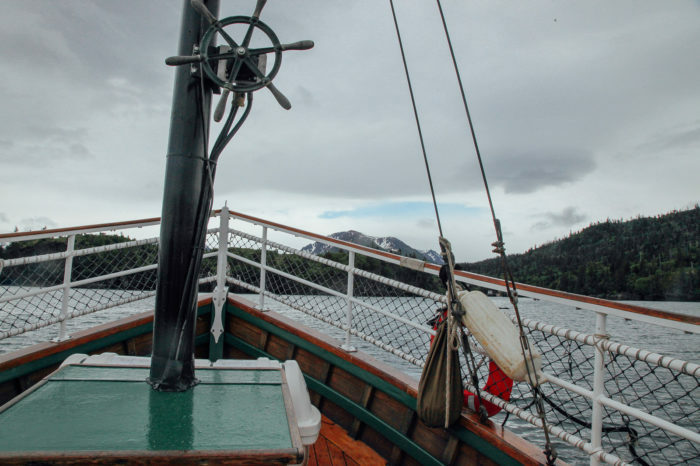 Even using the ferry that sails to Halibut Cove from Homer is fascinating. 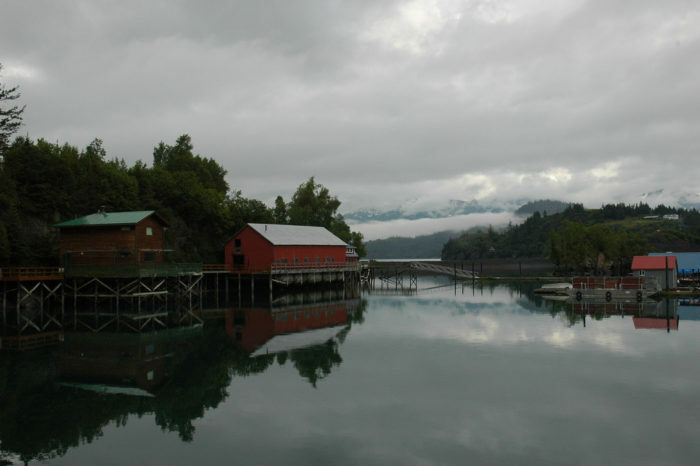 The ferry is a historic wooden ferry, and it travels the six miles over Kachemak Bay to Halibut Cove in style. Visitors enjoy the rustic boat, which offers a chance to get up close and personal to the waters in the bay. Originally a fishing village, the town itself is built on stilts atop this gorgeous water. 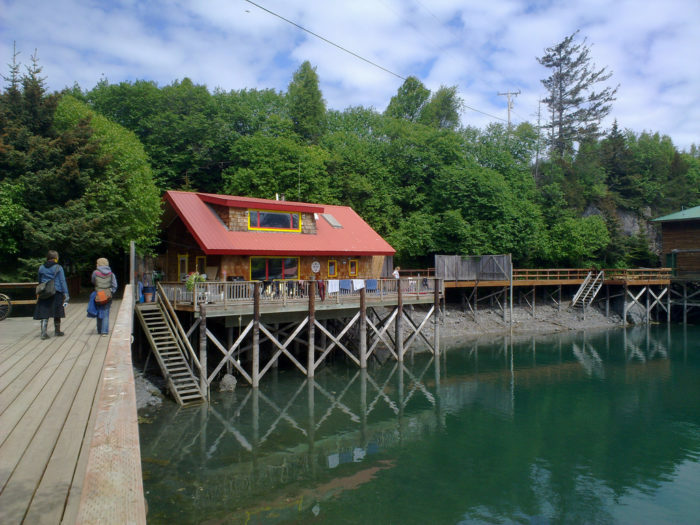 In fact, Halibut Cove has one of the only floating Post Offices in the United States! Now the village is primarily home to an amazing array of artists, who've moved in and created a lovely haven. The beautiful artist galleries also rest on stilts above the water. Most of the village is connected by boardwalks. 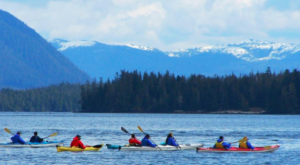 This is a town that enjoys being close to the water and all it has to offer! Many residents speak of the inspiration they get from being surrounded by such beauty every day. On first glance, the waters show off the beautiful blues and greens of the glacial silt that's deposited beneath them. 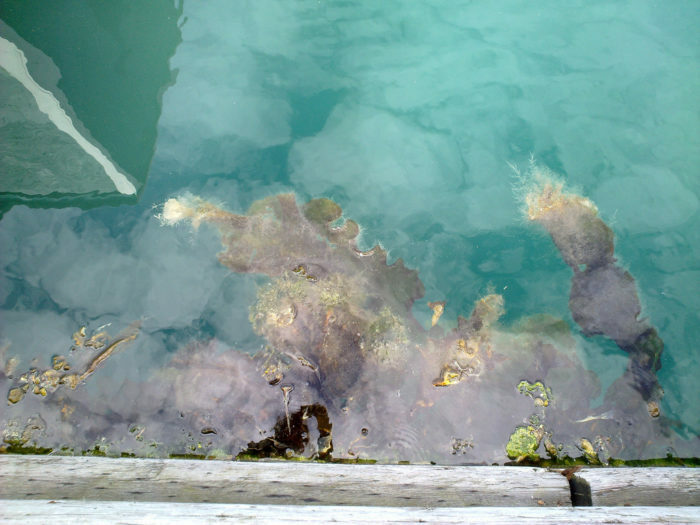 The waters are clear enough to see the large manner of wildlife that live within them! And what an array: everything from seaweeds, crustaceans, even killer whales! The waters can be like a looking glass to the underwater world. On a good day you can see 15 to 20 foot depths within the waters of the bay. 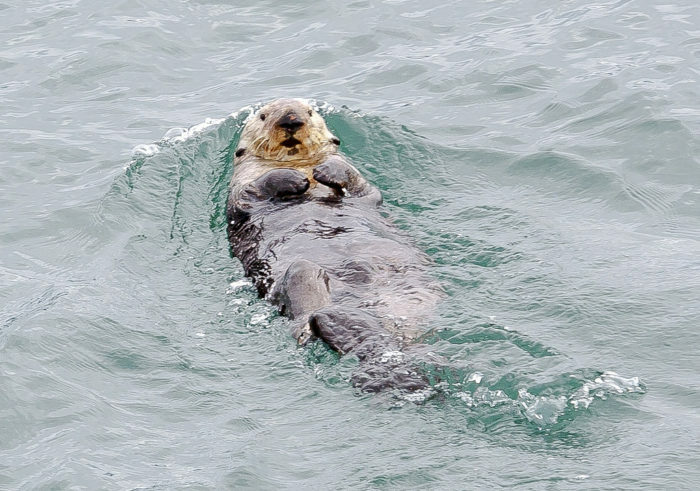 If you were to brave swimming the colder waters, you may find yourself swimming along with sea otters or sea lions underneath you. And the beautiful part is you'd be able to see them! 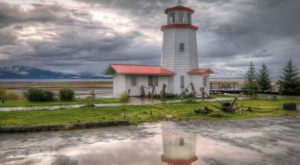 Have you been to Halibut Cove? What did you think of the waters? 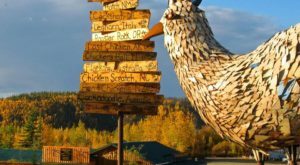 If you’re heading over there for a day trip, check out The Tiny Town In Alaska With The Most Mouthwatering Restaurant!